Dream On Me Emily Changing Table!! What A Deal!! Dream On Me 607, Emily Changing Table allows any parent to change their baby with comfort and ease. Featuring a 1 inch changing pad keeping baby happy and comfortable and 5 1/2"" safety rail that surrounds your baby with security so they don't roll off the table. 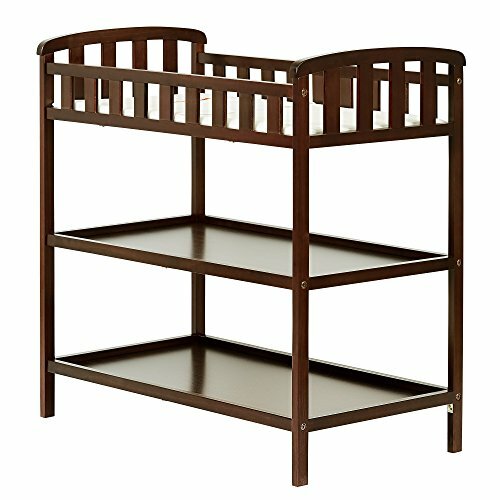 The open design featuring 2 shelves below keeps all your baby's essentials close and convenient.